1 Process Hellmann's® or Best Foods® Real Mayonnaise, cream cheese, sun-dried tomatoes and cayenne pepper sauce in food processor until smooth. 2 Combine mayonnaise mixture with remaining ingredient in medium bowl. Chill 1 hour. 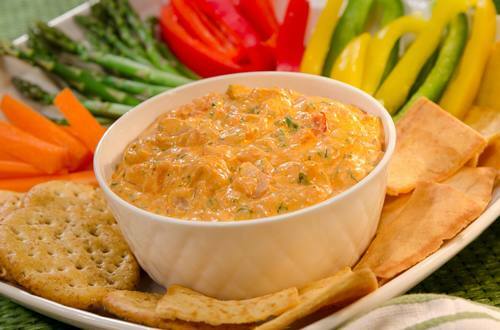 Serve with your favorite cut up vegetables and crackers or pita chips for dipping.